SamcoSport hoses are handcrafted to high automotive standards using the best quality fabrics and are 100% visually inspected to guarantee they are the best hoses money can buy. Check out the Recently Listed Cleaning Wipes . Check out the Recently Listed Complete Vehicle Hose Kits. Check out the Recently Listed Hose Clamps. Pit Stop USA is The Online High Performance Parts Superstore! We feature Hose Clamps / Band Clamps at low everyday prices. Pit Stop USA is The Online Motorsports Superstore! 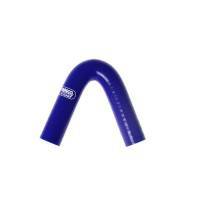 We feature Radiator Hose Adapters at low everyday prices. 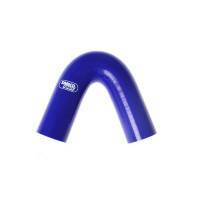 Check out the Recently Listed Silicone Hose. SamcoSport is the original performance silicone hose brand. The pioneers in the development of direct replacement aftermarket hose kits, SamcoSport has always offered the most comprehensive range of kits and standard parts available in the marketplace. Known for their quality, durability and reliability, SamcoSport continue to offer exceptional, cutting edge products. Each new product is designed and developed by an in-house team of engineers who use only original factory parts as guides to ensure optimum design accuracy and product fitment. With over 830 Kits designed for almost 50 different vehicle manufacturers, SamcoSport are able to offer products for a wide range of applications ranging from high performance cars to motorcross bikes, classic & vintage vehicles to superbikes. SamcoSport hoses are handcrafted to high automotive standards using the best quality fabrics and are 100% visually inspected to guarantee they are the best hoses money can buy. To ensure that they remain that way, you will find below our expert tips on how to look after your hoses including fitting, cleaning and cutting if you need to customize. Chosen by the world?s leading race teams to deliver performance under extreme temperature and pressures.